A warm welcome to all returning and new parents and students! It is great to see the school alive with students again. Each day at break and lunch our fields and the gym have been full of active students and as I walk into classrooms there is a tremendous amount of energy and excitement. Dr. Petrusz (IB&AP Bio), Mr. Falkenberry (Computer Aplications and Design), Ms. Froman (MS Social Studies) and Mrs. Hagen (MS Science), Mr. Hagen (Student Support), Ms. Deeks (Desktop Publishing and MS Tech), Mr. O'Brien (Physics). We are very fortunate to have such positive and dedicated educators added to our exceptional staff. This past Tuesday we were able to welcome the newest members of the AOSR community onto campus. It was fantastic to have students back at school and feel the energy building for the start of another exciting year here at AOSR. We are so fortunate to have so many caring students as our welcome ambassadors to all of the new arriving families. 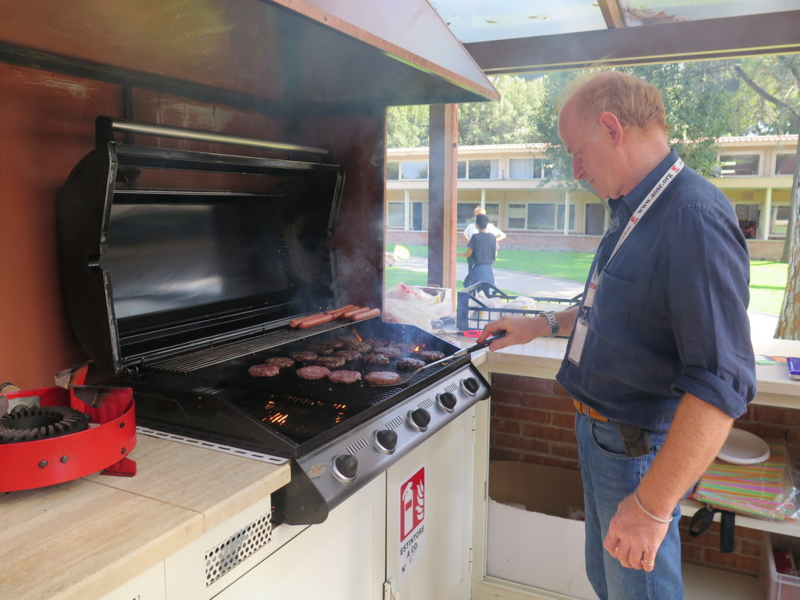 The PTO BBQ was a great way to get the whole community together. Please look on our AOSR website for more information about how to get involved with our PTO and all of our After School Activities. Mr. Zacaroli has just introduced our After School Activities (ASAs) to our students and these will begin their trial dates the following week.Please encourage your children to get involved, we have a lot of wonderful things on offer. In two weeks time we have our back-to-school event coming up on Thursday September 20th at 5pm. This is an evening where you will be able to meet new and returning teachers, and learn about the MS, HS, AP & IB programs, as well as our specific courses. An email detailing this event will be sent home soon. This week our Fall Varsity Sports have begun. It has been great to see so many students involved already. 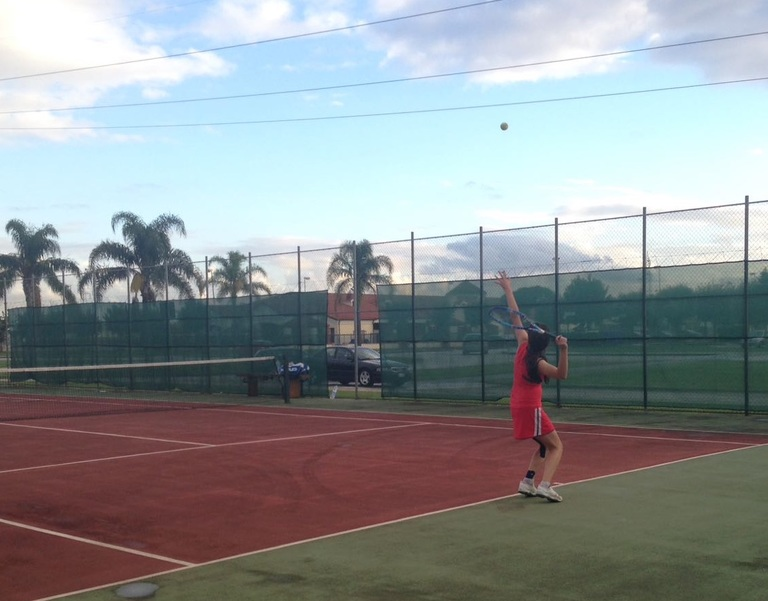 Our Tennis, Volleyball and Cross Country teams have hit the ground running! On the 15th of September their will be a World Cleanup Day and AOSR will be sending representatives to the Ponte Milvio area at 10am. This is a fantastic way to come together as a community and do some good in our local environment. Please take a look at the information below and see Ms. Ellyson for more details. As we begin another new year at AOSR I want to encourage all of our students to challenge themselves. I am sure you know this by now, but AOSR is a great school. As our mission statement states that we offer the best of an American-International education in a supportive learning environment. We inspire a diverse student body to courageously meet the demands of a changing world through an engaging and creative curriculum. This has proven to be a winning formula for years as we graduate not only students that are prepared to excel in college, but students that have character and compassion. On the intellectual growth side of the mission, I am proud to say that we continue to live and reflect our Profile of a Graduate. What I am most excited about is the fact that students continue to find their individual passions in the MS, HS, AP & IB programs. That means more students are choosing to challenge themselves and they are succeeding! I will be giving you more details about this in the coming months, but please know that our students continue to impress colleges and universities around the world with their achievement and character. I hope you have a fantastic weekend and I look forward to seeing you at next week’s open house. We have now been in school for nine days and the school is already roaring on all engines. 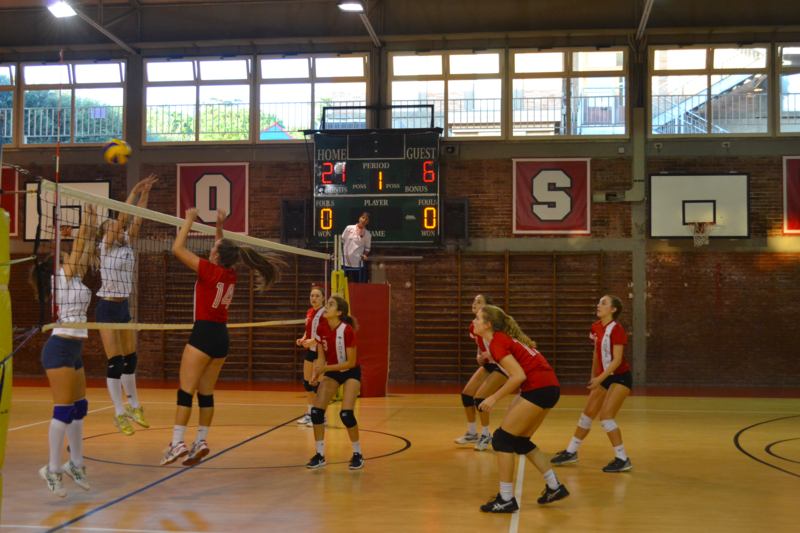 The Volleyball, Tennis and Cross Country programs are all in full swing, and the ASA’s are gaining a great deal of momentum. The teams are all keen and excited and now the real work now begins. I have visited every classroom in the school and I can tell you, the learning going on in these rooms is extraordinary. Your children are engaged and focused. They are learning new skills and consolidating old ones. They are pushing teachers on difficult and complicated topics in a way that challenge the faculty. They are truly a pleasure to work with and I look forward to another fantastic year. Last Wednesday Ms. Ellyson brought our Middle School together to develop community and speak about all of the wonderful opportunities that are available to our Middle School students. There was a tremendous amount of energy and the students received a great deal of information. This was also another opportunity for Mr. Park to speak about the new laptop distribution. Now every Middle School student has access to a laptop! We are very fortunate to have so many top colleges and universities wanting access to our students. Ms. Jeffrey does a fantastic job reaching out to schools and establishing relationships with their admission officers. These visits are a great way for our students to connect a name to a face with their application while also receiving more information about a particular school/program and the admission process. Below is a schedule for the coming week. This coming Thursday our AOSR parents get to be students again! We are getting ready for our Open House evening, providing an overview of the year and our program in the Cafeteria and from there parents will be able to follow their student's schedule to see each of their child’s teachers and here what enriching learning experiences will be forthcoming this year. 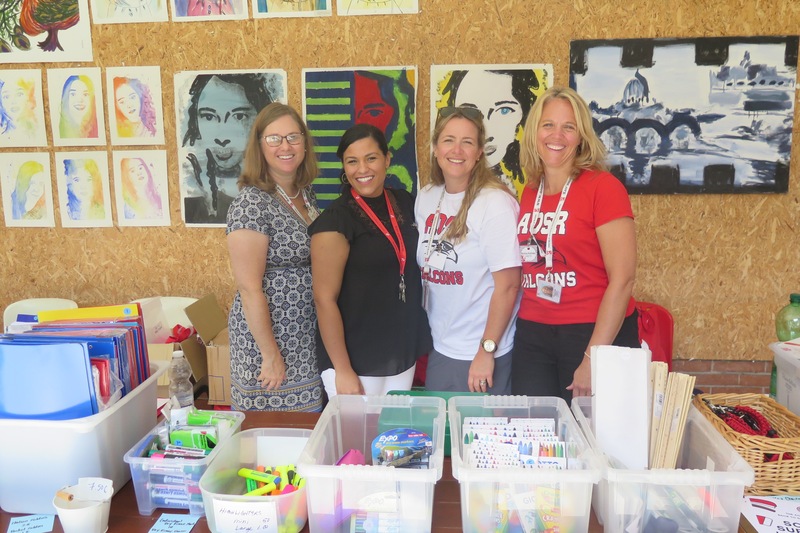 Thank you for such a taking such an interest in your child's education and our school, it is one of the things that I truly enjoy about working at AOSR-the partnership that exists between the parent community and the school. Our students are the true beneficiaries of this partnership. This year we will not be printing out each individual schedule, instead parents will access their schedule via PowerSchool. Thank you for helping us keep AOSR 'Green!' Below is the welcome letter and Schedule of the evening. This coming Monday our PTO will be hosting their welcome meeting. This meeting will take place at 9:15 in the cafeteria. We are so fortunate to have such a positive and involved parent community. Please come and see how you can contribute to all of the wonderful events that happen here on campus. AOSR is Active and Engaged! Our students are off and running with all of the different activities that they have access to. 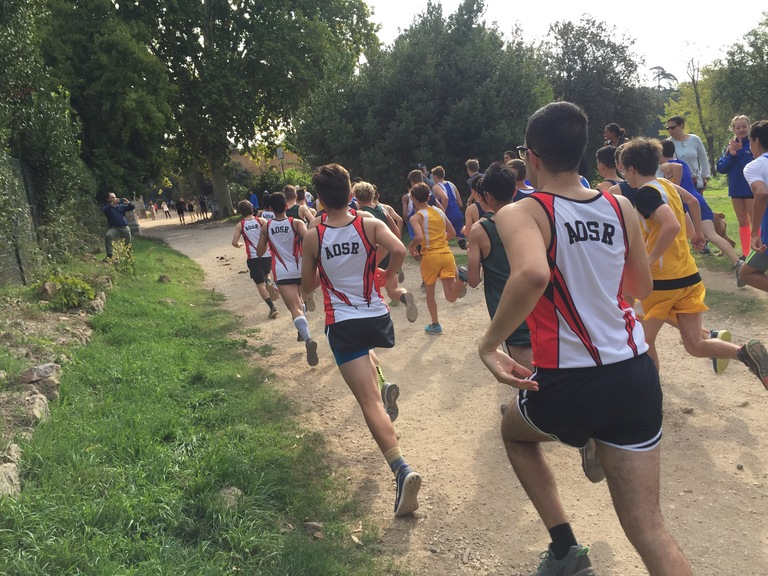 This weekend the Cross Country team will be running a team race, many of our students will be engaged with a World Cleanup Event and the coming week will start our athletic competitions in Volleyball! Please come out and support AOSR and ask your student how they can get more engaged. I want to thank everyone for a successful and smooth opening to the school year. It is been so nice to see our secondary students model respectful behavior as they come onto campus. Each morning I walk onto campus, showing my ID and opening my bag, as does every parent that comes on. It is very reassuring to know that our children get to learn in such a safe and secure environment. Thank you again for modelling this behavior to our entire community. It has truly been a pleasure to begin this school year.The AOSR students and parent community have welcomed my family in with open arms.We knew we were coming to a special place and these past two weeks have certainly reaffirmed that for us.I look forward to the exciting events that lie ahead. We are now well into the school year where the routines of school have been established and we are not really able to start with the engaged learning that our students crave! Please continue to engage with your student about what they are 'learning.' It is important that we support their growth, while helping the advocate for themselves as learners. Thursday our AOSR parents got to be students again! We opened this year with our Open House evening, providing an overview of the year and our program in the cafeteria and from there parents were able to follow a student schedule to see each of their child’s teachers and hear what enriching learning experiences will be forthcoming this year. Thank you for such a lovely turnout and for helping us 'Go Green' with a paperless event, it is one of the things that I truly enjoy about working at AOSR-the partnership that exists between the parent community and the school. Our students are the true beneficiaries of this partnership. On Saturday, September 29th AOSR and the PTO are hosting a social event for parents, students and teachers. The Falcon Family Picnic will take place from 12-3 at AOSR and participants are asked to bring a dish to pass(Last names A-P a side dish, Q-Z a dessert). AOSR continues to develop its sense of community and development of a partnership between the teachers and parents. It is very comforting to work in a place where we are all striving for the same thing-improve student learning and experiences. This weekend we have all of our Fall teams competing. We are hosting Volleyball all weekend, Tennis has left for Naples and our Cross Country runners will be racing on Saturday. We will be having a Booster Bar this afternoon and our Pep Band will be performing. It is fantastic to see so many of our students engaged and involved. Please come out and support our students as they represent AOSR! This coming week we will be having our school photos. Below is the schedule of the grades with the specific days for each grade level and class photos. According to Dweck, in a fixed mindset, people believe their basic qualities, like their intelligence or talent, are simply fixed traits. They spend their time documenting their intelligence or talent instead of developing them. They also believe that talent alone creates success—without effort. So, the question for us as an educational institution, and for you parents at home, is how we instill the Growth Mindset in the students (and children) that we serve? This is a topic we talk about here at ASD and will continue to focus on. Please take a look at this quick video describing the effects of a Growth Mindset. If you have any thoughts, please feel free to pass them on to me. I love hearing from parents as we work together. Thank you for your continued interest and support of AOSR and our students. Week 4 Examining where we are & preparing for where we can go! This coming week we will be engaged with external testing to help us examine the areas of strength for our students and reflect on the areas of growth. Our Middle school students will be engaged with the MAPS testing Monday, Tuesday and Wednesday of this week. These assessments provide individual growth data for each of our students in the areas of Math, Literacy and Scientific understanding. We are fortunate to take these externally moderated assessments three times within the year to provide us with checkpoints to see how our students are progressing and what steps we can take as a school to help them succeed. It will be important that all Middle School students are at school on time and have had a good breakfast before they begin their MAPS testing. The individual data will be shared out with each student and parent. This data provides us with the feedback needed to help structure our instruction throughout the year. The following week our 10th and 11th graders will be taking the PSAT. This is a practice for the SAT that many of our students use/need for their college admissions. This test provides our students with an understanding of this type of test as well as some areas of strength and growth for them. One of the most important components of this test is that colleges and universities use this data to match students with their schools and programs. Please ensure that your child marks that they want to receive information from colleges and universities. This will be one of their first steps toward deciding on a university. It will be important that the students arrive on time, well rested and have had a breakfast. We are fortunate that we have PowerSchool to help us communicate out the learning that our students are engaged with. PowerSchool is a tool to help students, parents and teachers communicate regarding where a student is in relation to the learning that is taking place within a specific course. It is important to remember that it is not the number that is most important, but the growth and what that number represents. If a student does not understand what the assessment score means in relation to their learning it is important for them to meet with their teacher. The more our students advocate for themselves and their learning the more success they will see. We are very fortunate to have such a dedicated and knowledgeable college counselor. 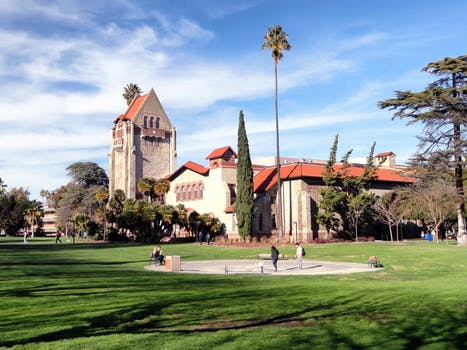 Ms. Jeffrey has already organized 4 college visits here on campus and we will be hosting the Canadian College Fair here on campus on the 9th of October. On October 10th, while our 10th & 11th graders are taking the PSAT Ms. Jeffrey will be running a college application seminar for our seniors during the exam time. This will be extremely useful to our seniors as they are in the midst of their college applications. Ms. Jeffrey will also be starting her Coffee with the Counselor mornings in the coming weeks. This weekend is a very busy weekend for our Falcons. Our Volleyball teams have left for Sicily early this morning, our Cross Country runners left for a race in Naples tomorrow morning and our Tennis team will be hosting a tournament here on campus tomorrow. Please check out the AOSR Athletics page for more information and upcoming events. It is great to see so many of our students active and engaged. 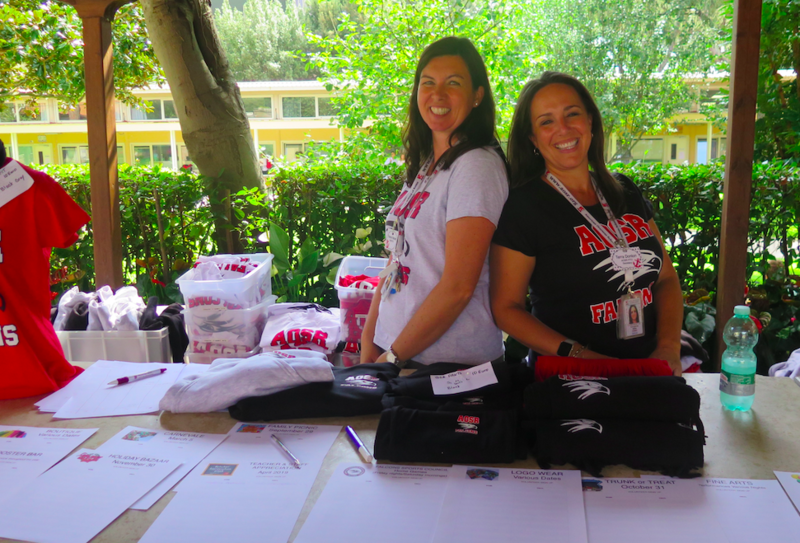 Show your Falcon Pride at the Falcon Family Picnic on Saturday, September 29, from 12-3pm. This is an event for the entire school community! New families and returning families are all welcome for food, fun & fellowship! Show off your culinary skills and bring a dish to share as part of our international potluck table. Last names beginning with A-P bring a side dish, letters Q-Z bring a dessert. The Booster Bar will be selling 100% beef hamburgers, poultry hot dogs, veggie burgers and drinks. Learning takes on many forms. How do we internalize what we learn and make it a part of who we are? Like any activity, learning takes time, practice and reinforcement. However, what are some of the most effective ways in which we can help our students practice/prepare how to learn? Make it Stick is a text dedicated to the science of learning. One of the steps that it highlights as most effective is a consistent, short testing of one’s ability in relation to the task that was just ‘learned.’ This links to the idea of quick and consistent formative assessments and feedback. By testing ourselves we truly get to see where we are in relation to the ideas we have just been exposed to. I am including a short link to a clip and the first chapter of this text. I would welcome any further discussion about this topic. We are well into the school year with many of our students having already completed major assessments or in the midst of completing assessments. This is the time of year where our expectations have been set and our students need to ask themselves are they giving 'Their Best.' Yesterday we had an assembly that highlighted many of the activities that we have going on here at AOSR, we had a musical introduction, a Drama selection and an introduction of our Student Government advisors. At the end of the assembly I spoke to student about 'Their Best' and shared a personal story of a race that I had recently run. Below is the clip that I shared with each of the students. Please take a look at it and ask your student(s) about it as well. We are always trying to strive to meet the challenges that we face. This past week our MS students have gone through the MAP testing. We will be sending this information home to families soon and will also be hosting an informational session to explain our use of this data and how it helps guide instruction. Many of our 11 & 12 grade students will be taking the SAT this weekend. This test is used as a part of the acceptance process for many of the universities that our students are applying to. Our 10 & 11 grade students will be taking the PSAT on Wednesday the 10th. This is a practice SAT and this information is used by universities to see which students might have matching interests with their school. It is important that the students ask to receive this information. During the PSAT our Seniors will be involved in a senior retreat where they will be working on the application process and other areas related to their college applications. We are very fortunate to have many top notch universities that come to visit our campus. This coming Tuesday we will be hosting the Canadian College Fair. Representatives from 18 schools in Canada will be here on campus to speak about their schools and meet with our students. This event will begin with a parent information session in the Cafeteria starting at 9am. This is a wonderful opportunity to learn more about these schools, speak with admissions officers and gain more insight into the college admissions process. In the coming weeks we will also have visits from Tulane, NYU, US State Department of Education and the EU Business School in Barcelona. Please check out Ms. Jeffrey's counselor page on the AOSR website for more information about upcoming events. This weekend our MS boys soccer team will be competing. We will be hosting a booster bar today and the following week we will have our 'Homecoming' game for our Volleyball teams, where we will be competing with Marymount. Please come out and support our students athletes and watch as they represent AOSR! Our Drama production is about to begin! We were given a small taste of the dramatic talent here at AOSR during our assembly on Thursday. Tryouts will begin in a weeks time. If your child has any interest in the production, whether on stage or back stage, please have them contact Ms. Rhodes. I look forward to watching our students shine on the stage! This coming Wednesday, October 17th at 9am in the cafeteria, we will host an information session going over the MAP testing protocol and our use of it here at AOSR. This session will focus on how we use this data to guide instruction, provide individualised learning targets and work towards growth. We will also focus on how students and parents can read their scores, understand how they will be used and explain the feedback that is provided. We will have subject specific teachers in Math and Literacy speak about their use of the data in relation to their courses. I look forward to seeing our engaged parent community as we strengthen our partnership in learning for our students. We are very fortunate to have many top notch universities that come to visit our campus. 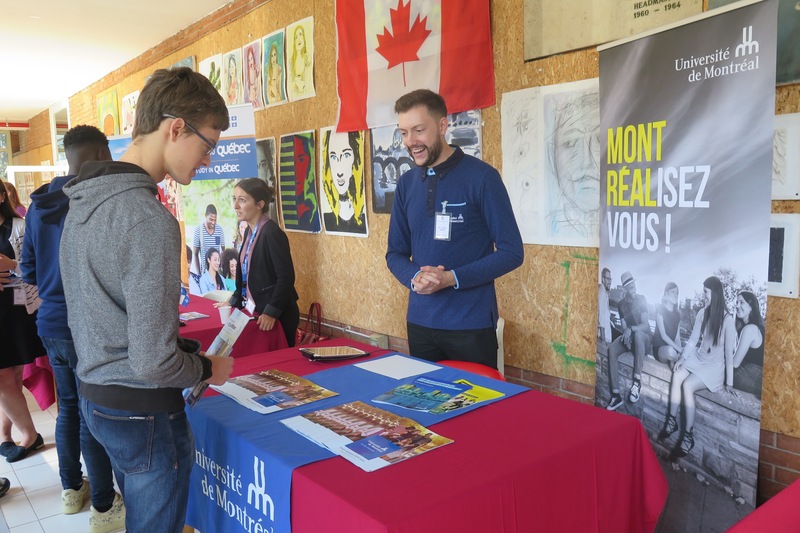 This past Tuesday we hosted the Canadian College Fair. Representatives from 18 schools in Canada were here on campus to speak about their schools and meet with our students. This event began with a parent information session in the Cafeteria. This was a wonderful opportunity to learn more about these schools, speak with admissions officers and gain more insight into the college admissions process. In the coming weeks we will also have visits from Tulane, NYU, US State Department of Education and the EU Business School in Barcelona. Please check out Ms. Jeffrey's counselor page on the AOSR website for more information about upcoming events. Today we will be hosting a booster bar followed week by our 'Homecoming' game for our Volleyball teams, where we will be competing with Marymount. This will also be our Senior Night. Our Tennis and Cross Country teams are traveling as well. Our Pep band will also be providing some musical excitement to the games. Please come out and support our students athletes and watch as they represent AOSR! Our individual and class photos are now available on campus. Students can pick up their individual pictures at the HS office and class photos are available for viewing outside of the high school office. Late last week, our Communications Assistant sent you a link to an important survey. This survey is framed around our accreditation standards and your feedback will help us improve what we must and celebrate what we can. In order to hear as many 'voices' as we can , we have made the survey available in English as well as in Italiano. I must confess though that we have been a bit sneaky as well and offered a pizza party to any grade that has a 90% completion rate or above. Yes, I apologise for the intense pressure that your children will be putting on you! It has been so lovely to see so much community engagement with all of the events that we have going on here at AOSR. From the Booster Bar, Family Picnic, Athletics, Open House, College Visits and parent information sessions and soon the PTO Trunk or Treat! It is fantastic to see so much involvement from our community. It is this type of atmosphere that separates AOSR from other school! As I looked at the coming weeks on the school calendar I was amazed at how busy our students are! This coming week marks the midway point for our High School Students. We have universities coming to visit, teams traveling for tournaments and ongoing assessments throughout the week. Please take the time to ask your student what is going on with them, how they are handling all of their activities and what they are learning in their classes. I am so proud of how well our students manage themselves and their time! We have so many exciting events throughout the academic year that regard the college admission process. Here are the next two! Tuesday, 23 October, at 9AM in the Cafeteria, we are fortunate to have Ms. Claire Wilkins from New York University discuss not only NYU, but the application process that surrounds competitive colleges and universities. Be sure to come and bring your questions about US colleges and the opportunities for your children applying to the United States for university. Monday, 29 October, at 9AM in the Cafeteria, we are equally fortunate to welcome Shawn Abbott who is representing the U.S. Department of State. He will be discussing the US application process and he will be here to speak with parents and students about everything to do with this process. He has a tremendous amount of experience working at several prestigious University Admissions Offices. Currently, he is the Provost and Head of Admissions at Temple University in Philadelphia, Pennsylvania. books updated and ready to be viewed by both parents and students. PowerSchool is a wonderful tool that allows us to communicate in real time the learning and progress that our students are making. Please be sure to sit down with your student and go over their progress with them. This past week we had a MAP Testing information session. Here we spoke about how we use this data to inform instruction and help focus on individual student growth. This coming Wednesday individual student MAP data will be sent home electronically to every parent within the Middle School. Please feel free to contact the school if you have any questions. This weekend all three of our Fall Sports are competing, including our Middle School Cross Country runners! We are also fortunate to have our MS Basketball teams competing here at AOSR on Saturday. These opportunities are a great way for our students to challenge themselves, cement friendships, learn about perseverance and sportsmanship, while making friends with students from other schools. A huge thank you to all of our coaches and chaperones for the time and dedication that they give to our student athletes. Go Falcons! Our PTO continues to provide different ways for us to come together as a community. Today they hosted another Booster Bar, which I can smell from my office! For Halloween the PTO will be hosting a Halloween event here at school. Below are the details for the event. I look forward to seeing everyone there! As we pass the midway part of the semester our students are putting a great deal of effort into their culminating activities. This is a time of the year when we are able to really get a good look at where our students are, what they still need to do and how we can help them. Please take some time this weekend to ask your student what things they have coming up in school. I think you will be surprised at all they are doing and I know that they will appreciate the support and encouragement. Parent/Student/Teacher Conferences are a perfect opportunity to work as a team towards the educational growth of our students. The more that we are able to share information, provide feedback and support the better able we are to help our students reach their potential. I mention the Student as a key component to this conversation. It is very important that they are a part of these conferences, because at the end of the day we are speaking about their learning! The conferences will be run in 7 minute time slots, allowing for parents to see as many of their teachers as possible. If the need arises for a longer conference please stop by the Secondary Principal table to schedule a follow up meeting. We look forward to working together to help our students continue their growth and work towards their potential. Thank you again for taking the time to work in partnership with us. We are very fortunate to have many different ways for our students to look for support and challenge themselves here at AOSR. Currently we have our Environmental and GIN groups working on problem solving activities in order to help their communities. 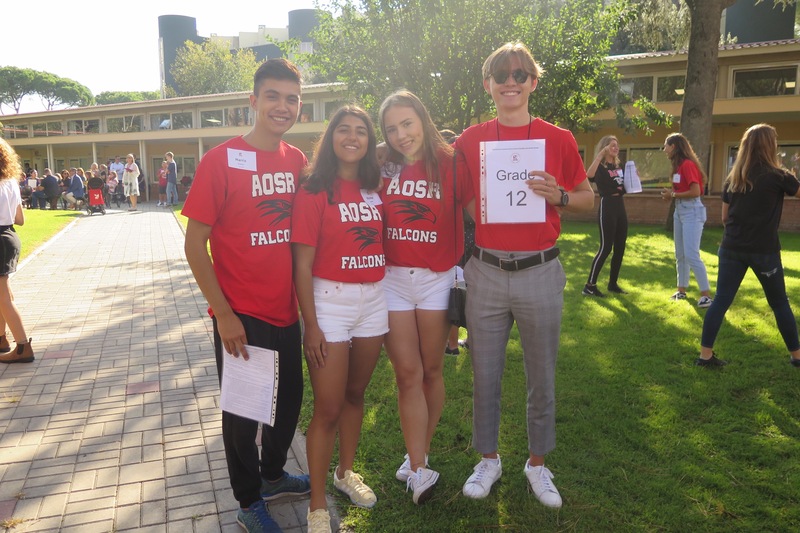 The AOSR MUN, where students interact with other schools in diplomacy, tackling real world unilateral problems, is a club that continues throughout the year that offers students the chance to work on their critical thinking and presentation skills. Our Homework club, which runs every Tuesday and Wednesday, helps students to look at ways to maximise their study time and organisational skills. Our theatre department is also starting to prepare for their productions and our Pep Band continues to provide entertainment at our home sporting events. We are very fortunate to have so many different type of learning opportunities for our students. Please continue to ask your students about the multitude of ways that they can challenge and extend themselves here at AOSR. On Monday, October 29th at 9m in the cafeteria we will be hosting a visit from the US State Department of Overseas Education. Mr. Shawn Abbott will be here speaking about the application and admission process. Mr. Abbott has been in the admissions departments at many of the top universities in the US, including NYU, BU, Drexel, Stanford and more. This is a tremendous opportunity for our students and parents. Currently we have all of our fall Falcon teams traveling and representing AOSR. 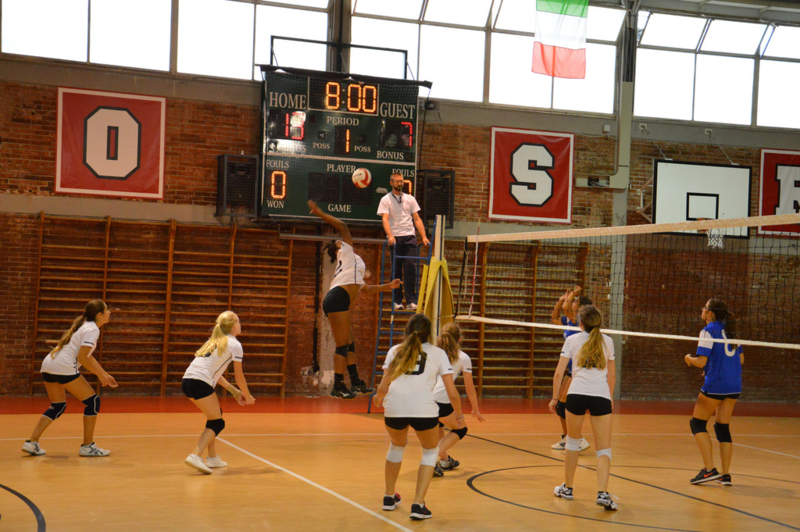 Our Tennis and Cross Country teams are at the European Championships and our Volleyball teams are in Vicenza getting ready for their Championship tournament next week. All of our student athletes and coaches have worked extremely hard this year and are looking for fantastic results. Great Job Falcons! This weekend over 50 AOSR Staff and Faculty members will be engaged in A Google Summit, where they will be picking up different skills and ideas that can be applied directly into their classes for the benefit of their students. It is great to see so many AOSR faculty and staff members taking advantage of this opportunity. I am looking forward to my sessions and the learning that will come from them. This coming Wednesday our PTO will be hosting it's Halloween event. Our Middle School STUCO has also organised a dance and other Halloween activities for our students as well. A huge Thank You to both groups for providing these engaging community events! On November 8th we will have a Secondary School Assembly, celebrating our Fall Sports teams, highlighting our various clubs and groups, presenting our student talent in music and the arts, as well as coming together as a community. These events allow us to celebrate our accomplishments and gather some insight into our upcoming challenges. I look forward to seeing all of our students engaged and sharing their talents with their peers! Week 10-A Full Week of Learning! It was wonderful to see all of our students back in classes this week, fully engaged with their subjects and focused on their learning and upcoming assessments. For our IB students we have a number of IAs coming due, along with the Extended Essay. Our MS students are nearing the end of their first Trimester and have a number of culminating activities on the go. Please engage with your student about some of their upcoming learning! Parent/Student/Teacher Conferences are a perfect opportunity to work as a team towards the educational growth of our students. The more that we are able to share information, provide feedback and support the better able we are to help our students reach their potential. The Parent/Student/Teacher Conferences will run all day on Friday, November 16th from 9.00am-3.20pm. This should allow greater opportunity for parents to be able to make an appointment with all of their children’s teachers. It is an expectation that students will be actively involved in each of these conferences, contributing to a three-way discussion and ensuring all stakeholders have a clear direction and common understanding for ongoing improvement and development. I look forward to a productive day, focused on the learning and growth of our students. One of the great things that separates AOSR students from other Secondary Students is their willingness to give back to their community. Today our Booster Bar will be dedicated to supporting the JNRC foundation which looks to help provide winter needs for displaced refugees here in Rome. This is an initiative that has been spearheaded by a High School student and as a school we will continue to contribute to this group throughout the rest of this semester. We also have a group of students off this afternoon to help out at a local dog shelter. Our environmental club continues to collect recycled goods from campus and bring them to the recycling center each Friday. Our music students are opening up the 'Music Cabinet' this afternoon and will be hosting a bake sale in the coming week to support AIDS research and support in Africa. I could continue to go on about the multitude of ways that our students are engaged with their community and give back. These types of events speak to the character of our students and truly make me proud to be a part of the AOSR community. This Friday we will be hosting the Fall Sports Banquet, celebrating the accomplishments of our Fall sports athletes. Our students and coaches have had a tremendous season and really came together. It is fantastic to see their growth from the beginning of the season up till the end. This coming Monday we will have our Winter Sports tryouts for Cheer and Basketball. There have already been some preseason practices in the gym and we have already had a number of students out and participating. Way to go Dragons! We are so fortunate to have so many talented students here at AOSR. Our Fine Arts program is extremely busy and has many events upcoming. Last week we were treated by the performance of the Tiger Tones, Princeton's all male choir; these students also worked directly with our choir students. This Friday our 'Music Cabinet' will be opening. At the end of the month our musicians will perform at the Embassy Tree Lighting Ceremony and our Winter Concert will occur on the first week of December. Our drama students are in the midst of rehearsals for their upcoming performance. It is wonderful to see so many of our students express and challenge themselves through the arts. During this week's assembly I spoke to our students about the idea of Identity. I challenged them to not worry about 'who they are', but instead focus on 'who they are becoming!' The more we look at ourselves as a work in progress and continue to provide ourselves opportunities to grow and improve the more we can expect of one another. I am always so amazed at how much our students take on and how much they want to continue to grow! For many years, AOSR has been an active supporter of the Joel Nafuma Refugee Center located in St. Paul's within the Walls church in the heart of Rome. On November 9, a Booster Bar was held to support fundraising for needed winter items, and we are now underway with our annual Needed Winter Item Collection Drive through December 7 (see details in the flyer below). Please consider this community collection drive when pulling out winter items in your closet and by donating gently used men's winter clothing, shoes and jackets, or when visiting a shop by adding some of the needed items in your cart such as warm new socks, gloves, hats or scarves to help keep away the cold this winter. On November 30, the AOSR community is invited to attend the center's Pakistani Fundraiser Dinner starting at 19:30 (see details below and RSVP by contacting events@jnrc.it), with authentic food, opportunity to meet new people in Rome and enjoy traditional musical entertainment. In addition, Mr. Ulrich and HS Choir are planning a December visit to the center to visit with guests and sing at the center and in St. Paul's within the Walls church. It is our hope that you will join us and consider various ways your family can contribute to AOSR's efforts to support the current migrant crisis. Thank you. This coming Tuesday we are pleased to present the American Overseas School of Rome's High School Information Night. Please join AOSR on Tuesday, November 20th from 5-7 PM for our High School Info Night. We encourage both potential and current families to participate. This event will provide information about the opportunities our High School program can offer to you and your family. You will learn more about our curriculum and classes, AP and IB programs, athletics, clubs, organisations and after school activities. Feel free to bring other families and friends with you! Within this evening there will be an overview of our High School program as well as time to meet with our International Baccalaureate and Advanced Placement teachers. This meeting time will allow for insight into each program as well as individualised information on how to prepare for these courses. We look forward to seeing you there and sharing all of the reasons that make AOSR such a fantastic place to learn! We are so fortunate to have so many talented students here at AOSR. Our Fine Arts program is extremely busy and has many events upcoming. Our 'Music Cabinet' is now open and many of our students have been taking advantage of it. At the end of the month our musicians will perform at the Embassy Tree Lighting Ceremony and our Winter Concert will occur on the first week of December. Our HS Drama students are in the midst of rehearsals for their upcoming performance and our MS Production choice is about to be announced! On November 28th Ms. Jeffery will be hosting a mandatory lunch meeting with our Seniors to help with their application process. Ms. Jefferey will also be hosting a College Night on the 12th of December at 6pm for parents and students. This event is open to our current seniors and any interested grade 10 and 11 students and parents. It is wonderful to have a college counselor with such a tremendous amount of experience and contacts. Please continue to look on our website for upcoming morning Coffee with the Counselor events. Our Winter Sports season is underway, tryouts have finished this week and we have had over 50 students participating in our varsity level sports for this season. It is great to see so many of our students engaged and challenging themselves. We have a number of early morning practices as well! Please go on the AOSR Athletics website for updates on schedules and events. Our PTO continues to provide a wonderful community feel here at AOSR as well as contribute to the overall engagement activities that our students have access to. Our Music Cabinet is a direct result of the work of our PTO. Our Halloween festival was another fantastic example of how our PTO is able to bring the whole community together. Below is the current PTO newsletter in both Italian and English. Next week will be a short week as we prepare for our Thanksgiving Holiday. Our students have been working very hard and it is a good time to slow down and being Thankful for all that they have accomplished. I hope everyone is able to take a little time to appreciate all that they have to be thankful for. Have a well deserved break. Thank you for your continued support of AOSR. This coming week marks the end of our first Trimester in the Middle School. There will be a number of assessments and projects coming due at this time. It is important to help our students finish strong with all of the work and learning that they have engaged with so far this trimester. Thank you for your continued support and engagement with your student. I want to thank all of the parents that were able to attend our Parent/Teacher/Student conferences this past week. These are a great opportunity for all of us to work together to determine the best way to support your student as we move through the school year. The more that we are able to keep our lines of communication open, the better we are at encouraging, supporting and heading off any missteps along the way. The next component in this line of communication and support is the distribution of are trimester and semester one reports. These reports will be forthcoming-the Middle School will receive their Trimester report on December 7th. It is our hope that there is nothing in these reports that comes as a surprise. The more we communicate the better we can support. It is also important to remember that these reports are simply a progress report. This is an indication of where your student is right now, not who they are forever. We continue to foster growth and these reports, with the emphasis on work habits and developmental comments, are a reminder of that growth mindset we are looking to develop for all of our students. Thank you again for your continued interest and support of your students growth and learning here at AOSR. You can feel the excitement within the hallways, students know that holidays are right around the corner! It is important to remember that there are still important tasks coming in the days ahead. We are just over a week away from our HS Semester exams. Teachers are starting to review and help with the culminating summative assessments that will highlight the learning that has occurred so far this year. We are also running extension time for students Tuesday, Wednesday and Thursday. Please have your student come to the HS office for more information. On Monday December 17th we will begin our semester exam schedule for our HS students. Our students have put in a great deal of time and effort and it is important that they are well rested prior to these exams. Below is a link outlining the schedule for the exams. This past Wednesday Ms. Jeffrey offered an informational College Admissions night. 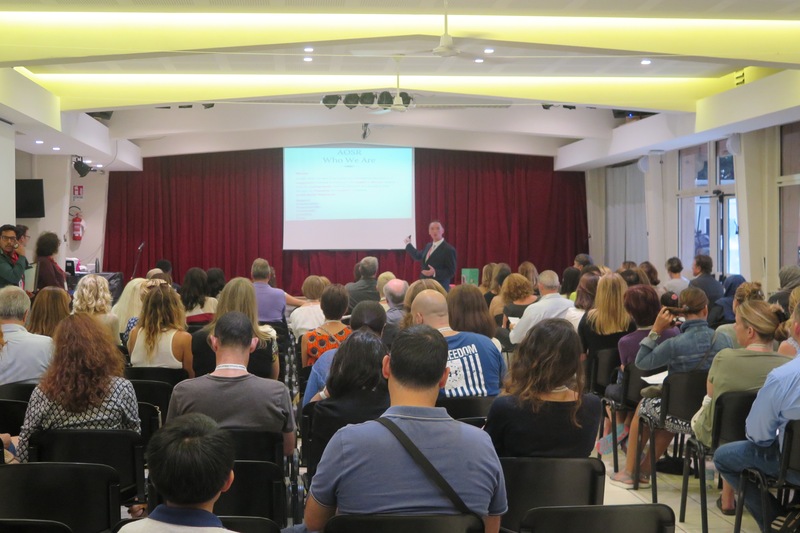 This event highlighted the process of college admissions as well as some specifics regarding the different systems that our students apply to-UCAS, European, United States and Canada. Ms. Jeffrey is happy to have more follow up discussions around this topic and will be advertising her Coffee with the Counsellor and other information evenings on our Website, Facebook page, PTO newsletter and direct AOSR emails. This past Tuesday our Choir and Band students presented a fantastic Winter Holiday Concert. It was lovely to see so many students engaged and presenting their passions to a live audience. All of my family left the evening singing(except for me, thankfully for everyone else!) the HS Choir then had an opportunity to sing for the JNRC refugees. We also have our GIN, Environmental and Recycling groups working very hard here on campus and within the community. Our MUN group is preparing for their conference and a group of our Italian Literature class just returned from a trip to Prague, where they engaged with Kafka and other cultural components of the city. It is wonderful to see so many of our students finding different outlets for their expressions and learning. Today there is all kinds of activity on campus. We are so fortunate to have our PTO organising the Holiday Market. As I write the gym is being transformed into a Winter Wonderland! We will have musical selections, numerous vendors and I believe a very special guest! Thank you again PTO for organising such a lovely event, it is great to have such community involvement. Our student body has been orchestrating a supply drive in order to support the JNRC refugee group. This past week we have presented a large amount of supplies to the group. It is lovely to see so many of our students looking for positive ways to give back. Week 15-Time for a Rest! We are approaching our Winter Break. Our students have been working hard and are looking forward to some well deserved down time. This family time is important and we want to ensure that our students have a chance to regroup and come back strong. It is also important to maintain some of our habits. I would suggest that the students keep up with their reading and look over their math throughout the holiday. 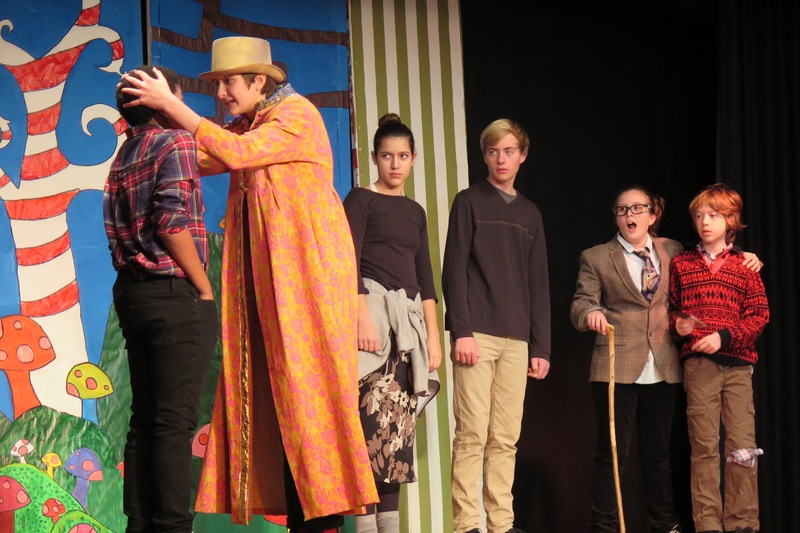 Our Drama students have been super busy performing 3 times int the past two days! I had a chance to be a part of each production and the students have shown so much poise and enjoyment throughout the performances. Thank you for coming to support their endeavours and a huge thank you to Ms. Rhodes and Mr. Nielsen for all of their hard work. This coming Monday we will start our Semester Exams for the High School students. Students have been studying and reviewing for the past week. It is important that students have a good night sleep prior to their exams. The exams are a great opportunity for our students to show off all of their learning. These can be stressful times for our students, but they are prepared and ready to go! Below is the exam schedule information. This afternoon our Falcon Basketball teams will be competing here on campus. We begin with our MS team, followed by our JV Boys, Varsity Girls and finally our Varsity Boys teams. They have been practising hard all week and are very excited to perform in front of their home crowd. I hope to see many of you there! We continue to employ many 21st century skills within our classrooms here at AOSR. As our students in the middle school get accustomed to having a computer throughout the day, we help them understand the power and responsibility of having a computer within their classes. This prepares our students for High School where students are in charge of their own machines. We will be having our incoming grade 9 students next year bringing their own computers to school/class. If you have any questions about this please contact the office, we will also be providing more information in the second semester. This Friday there will be a Booster Bar. This will be a huge part of this afternoon's activities with our Drama Production and Basketball games. I was so amazed by the drastic change that took over the school and gym last Friday for the Holiday Market. We are so fortunate to have such a vibrant and active community, headed by the efforts of our PTO. I feel so fortunate to have my children involved in such a welcoming community. It has been such a joy to be a part of the AOSR school community. It is such a warm and welcoming place and I look forward to all of the learning and fantastic events that are upcoming. I hope everyone has a wonderful break and is able to reconnect and relax with family. After our semester exams, summative assessments, winter concerts, drama productions, sporting events, it is time for our students to take a well deserved rest. I hope everyone is able to take this time to relax and recharge, spending quality time with family and friends. When we return on January 7th it will be a Red Day. Enjoy your break! Below are some links for podcast, information and support for students/teens within the ever changing technological landscape. We hope that you find these sites/ideas helpful and would welcome and further discussion. Common Sense Media is a great resource for parents and teachers dealing with media and young people. Check out these recommended resources. Many students play FortNight in their spare time. Learn more about this here. Our Varsity BBall and Cheer Programs will be hosting Naples on the 11th of January, the first Friday we are back after break. I hope to see all of you there to help support our student athletes! We are now one full week back from our Winter Holiday. It has been fantastic to see all of the smiling faces and engagement in classrooms. Our teachers have jumped right back into the learning and our students have responded! We are also fortunate to have a number of new students joining the AOSR community this semester. We will be having a new student welcome lunch hosted by our counseling department with the students who were new at the start of the year acting as ambassadors. We have now completed our First Semester in the High School. At this time of the year it is important that we take a look at the progress that our students have made, highlight their areas of strength and look at ways to help with their areas of growth. Through the use of PowerSchool we have the ability to get a 'real time' look at where are students are in relation to their learning and assessments. It is important to remember when we use PowerSchool that we focus on the learning and growth of our students and not simply the number that we see. Please go onto your student's PowerSchool and look at the report and the comments that have been provided by each teacher. You have the ability to click on the class grade in order to see each individual assignment that has been used to calculate the grade. If you have a question about a grade you can also click on the teacher's name in order to send them an email. It is important to remember that we are focussing on the progress of our students and how we can help them to continue to be successful. I encourage you to go over your student's PowerSchool Report with them. This will help shape the conversation around the learning that is going on in each class in order to highlight areas of success and growth. Below is a quick tutorial reminder of how to log onto PowerSchool and find the relevant information to access the report for your student. Thank you again for your continued support of AOSR, please feel free to contact us if you have any questions or concerns. We have just begun a reading competition within the Secondary School. Students need to check out the 5 titles, read the texts and share their understanding of the text via some comprehension questions. Those who complete all 5 texts will be presented with raffle tickets for prizes at the May Fair. This competition is being promoted on screens throughout the Secondary School and within the Secondary School Library. I look forward to seeing all of our students engaged with these texts. We have started off with a bang as we came back from the holidays. Our BBall and Cheer squads had some great competition this past Friday and the amount of support from the student body and community was fantastic. Our Varsity boys even received a write up in the Stars & Stripes publication. Today we will be hosting another full event, with teams from the MS all the way through to our Varsity will be competing. The games will continue through Saturday. We will also be hosting a Flag Football event for our Middle School students and their parents, this will be a fun community event. Our students are extremely engaged during this time of the year. 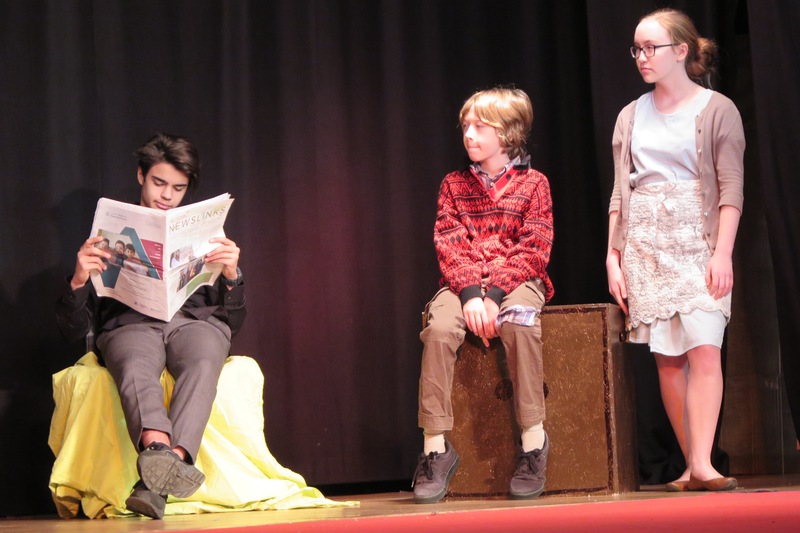 Whether it is finishing up summative assessments as we reach the midway point of our MS trimester, to the Musical Ensembles, MS Drama Production, IAs and Extended Essays for our IB students, Basketball and Cheer competitions, returning from MUN, our students are engaged! Please take some time to ask your student what they have going on and what they are up to in the coming weeks. This past week our music students were able to perform for the MS/HS solo and ensemble evening. It was a lovely event highlighting the talents and growth of our students within the music program. This coming week our MS Drama production will take place with over 40 students participating in the Brothers Grimm production. Performances will take place starting on Wednesday of this coming week, please come by and be a part of this wonderful event. Tuesday of this week will mark the midway point of our 2nd trimester for our MS students. It is important to remember that this is a midway check point and we are looking at progress and growth. Please make sure to go onto your student's PowerSchool with them to engage in a conversation about their learning and progress so far this trimester. We want to ensure that all of our students are engaged in their learning and we are providing them the support they need in order to be successful. We are now in that strange time of the year where we have one foot in the present and another stepping towards the future. This coming week we will be having meetings with grades 8-11 to look at the course selection process. This will be start of the discussions that will help students and parents plan their course selections for the coming year. Please engage with your student about the options they have and the choices they would like to make. We want to encourage challenges and growth, with an eye to understanding the balance that is needed to help our students succeed academically. This past week we had our parent information night for our upcoming Middle School trips. It is amazing to see the types of opportunities that our students will have. I am sure that you are like me and are a bit jealous of what they will be able to experience and are probably thinking back to your own middle school experience and are wondering where were those types of opportunities for you! Our deadline for the registration will be February 13th, with payments to be made in the Villa. This weekend we are hosting three teams for our basketball and cheer squads, with our JV boys playing this past Thursday. We will have a Booster Bar on Friday afternoon and it will be senior night in the middle of this evenings games. There will be a concession stand at all of the games and our students have been really focused as they prepare for the upcoming European Championships. Thank you for your continued support of our student athletes. Go Falcons! You can contact Rick Part at edtech@aosr.org with any questions. It is very challenging to stay focused with all of the distractions that make up a modern day. This week I shared an article with the teachers about how we can help one another strive for a deep focus. Below is the link to that article, please take the time to look and have a conversation with your child. I would love to hear from you and your thoughts on this topic. This week we will be having our Settimana Bianca, which will be an important break for our students to relax and reflect. It is important of course for our students to stay connected with their learning, but there is also a time for a break. Our teachers will be providing refresher type work, while many of our IB and AP students will be using this time to make sure that they are on top of all of their requirements leading into our last push when they return. I hope everyone has a restful and relaxing break. This past week we have met with all students in grades 8-11 to begin our course selection process for the coming year. All students have access to their course selection via PowerSchool and have been shown how to go through this process. Students will have until the 11th of March to make their selections. It is important during this time that they speak with their teachers, parents, counselor, and themselves while doing some research into the type of program that they are looking to take in the future. Please make sure to speak with your student regarding their choices for the coming year. If as a family you are certain that you are not returning to AOSR it is still very important to complete the course selection process. This allows the next school to see what types of courses your student would have been eligible for and it will help them make a more informed selection. Please feel free to contact the HS office if you have any questions. The past two evenings I have been fortunate enough to be in the audience for our MS Production. What a fantastic event. It was so lovely to see how confident and invested the students were with their roles. These evenings were the culmination of weeks of work by the students as well as Ms. Sanders and Ms. Adams. I am always so amazed at the amount of talent and poise our students posses. We are getting closer and closer to our MS trips! Students are excited and really engaged with this process. In the weeks following our break we will be having targeted meetings with each age group and trip. Ms. Ellyson has been sending information home via email and will continue to do so. These trips highlight our Profile of a Graduate traits and allow our students to put these traits into practise within a real world setting. These are considered integral to our MS Curriculum and we are so fortunate to be able to offer this program to our MS students. This past week over 40 students within the High School received letters of application to the National Honor Society induction process. 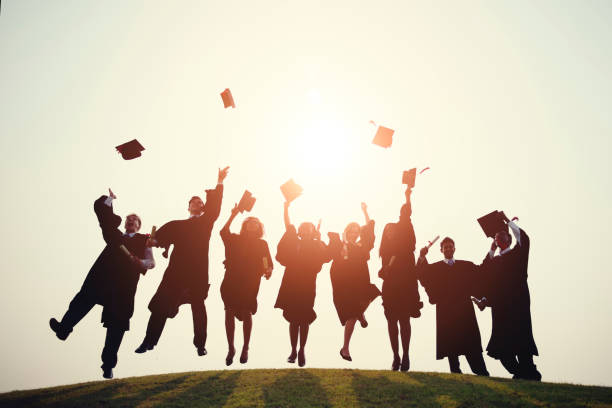 Our students who have a 3.5GPA or higher are eligible to apply and highlight all of their service and leadership traits that they have exhibited throughout their High School years. It says a great deal that we have so many worthy applicants! This past week Ms. Jeffrey was able to present two workshops to our parents and students about the college application process. We also had two university reps on campus this week. This information is so valuable and we are very fortunate to have such a qualified and experienced college counselor on staff. Please continue to check our website and your email for continued information from our counseling office. This weekend are varsity Basketball program is traveling to Sigonella. Once they return they will be having a short rest and then a quick turnaround to attend The European Championships along with our Cheer Squad. These students have put in a great deal of work and it has been lovely to see their growth throughout the season. Our community continues to rally around them with our home games, Booster Bar, pep band and concession stands. Good Luck Falcons! Our Middle School Basketball team will be competing this Saturday with Ambrit. The students have been also working very hard and are excited to have a chance to compete. Our Spring Sports will be starting very soon after the holiday, with preseason training for track and soccer beginning right when we come back. Please visit the AOSR Sports page for more information. We have also been speaking about our health, responsibilities and the importance of caring within our community. Please feel free to have a conversation about these topics with your students. We have met with all students in grades 8-11 to begin our course selection process for the coming year and individual students are coming in to ask questions. All students have access to their course selection via PowerSchool and have been shown how to go through this process. Students will have until the 11th of March to make their selections. It is important during this time that they speak with their teachers, parents, counselor, and themselves while doing some research into the type of program that they are looking to take in the future. Please make sure to speak with your student regarding their choices for the coming year. If as a family you are certain that you are not returning to AOSR it is still very important to complete the course selection process. This allows the next school to see what types of courses your student would have been eligible for and it will help them make a more informed selection. Please feel free to contact the HS office if you have any questions. We are about to complete our Second Trimester in the Middle School. At this time of the year it is important that we take a look at the progress that our students have made, highlight their areas of strength and look at ways to help with their areas of growth. The Parent/Student/Teacher Conferences will run all day on Friday, March 22nd from 9.00am-3.20pm. This should allow greater opportunity for parents to be able to make an appointment with all of their children’s teachers. It is an expectation that students will be actively involved in each of these conferences, contributing to a three-way discussion and ensuring all stakeholders have a clear direction and common understanding for ongoing improvement and development. We will use the online sign up form as we did with the first semester conferences. This link will be emailed out to parents via their AOSR email accounts in the coming week. We look forward to the learning focused conversations that this day provides. Our NHS Applicants have turned in their forms and our faculty committee will be reviewing their applications and making selections. Our current NHS members are helping tutor during our Homework clubs on Tuesdays and Wednesdays. This Saturday our NHS will be hosting a Leadership conference here on campus where community members will be coming to speak about their leadership experiences and sharing their journey with our students. This event has been planned completely by our NHS students. Ms. Jeffrey is continuing to meet with all of our year 11 students in relation to their college application research for the coming year. She is also of course finalising applications and helping seniors make sense of the many acceptances that they are receiving. Ms. Jeffrey will continue to offer information sessions for parents as well as students. This information is so valuable and we are very fortunate to have such a qualified and experienced college counselor on staff. Please continue to check our website and your email for continued information from our counseling office. We are excited to host the second Rome International Schools Association Middle School Honour Band Festival on Wednesday, March 6th, 2019, at American Overseas School of Rome. The day will be filled with music making and is a wonderful opportunity for students to meet other musicians from RISA schools. To complete the day, there will be a concert at 19:00 in the gymnasium where all families and friends are welcome to attend. I look forward to hearing our musicians shine! This evening and weekend we have a lot happening on campus! Today we are happy to welcome the American School of Barcelona's girls basketball team. Our girls will be competing this afternoon at 4pm and then again Saturday morning. We are also fortunate to have a Booster Bar planned for this afternoon. This evening at 6:30 we will be hosting our Winter Sports Banquet. Our Spring Sports will be starting this Monday, with preseason training for track and soccer already underway this week. Please visit the AOSR Sports page for more information. If you plan to purchase a new device, this is a great opportunity to have your son or daughter research computer models and propose to you what they would like to purchase. Ask them to tell you why they want that model, where they can get the best price, and what warranty and support are included. If you already have an older laptop that meets the specifications, then no need to buy a new computer. Consider purchasing a protective case to help protect the computer from damage. You can contact Rick Part at edtech@aosr with any questions. Are you following us on Facebook and Instagram (@aosr.rome & @aosr.rome.art )? If the answer is "not yet", please click on the link above to follow and like our page. Our Facebook page is filled with wonderful photos and information about what is happening at AOSR. Help us spread the word by following us and sharing our posts with friend near and far. This week is a very interesting week for our school and students. Our MS Students will be engaged with cultural trips and team building challenges. In the HS we are approaching Mock exams and the midway point of the semester. The experiences we are providing our MS Students are the types of memories that they will carry with them for the rest of their lives. A Huge Thank You to Sarah for all of her organising and logistical work with the details, as well as to our chaperones for providing these experiences to our students. The feedback we are providing through our Mock Exams as well as the continuous updating of PowerSchool will provide our HS students with the type of growth focused feedback that they need coming into the final half of this semester. Thank you for continuing to check PS and focusing on growth/learning feedback for your students. Our Course selection process will wrap up this Monday. We have et with each grade level from 8-11 and have worked with individual students to ensure that they are making informed decisions. From here we are going to be using these selections to start our schedule building process. The students will have the ability to look at their schedules before the end of the year and any adjustments that need to be made will happen before we break for the summer. There is a tremendous amount of buzz happening around the Middle School halls! Students are getting more and more excited for the upcoming cultural trips. 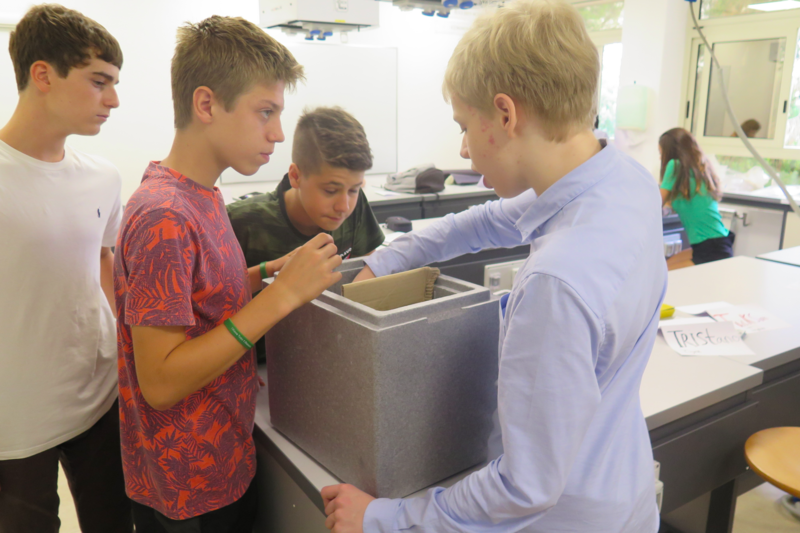 It is fantastic to be able to provide these types of opportunities to our students, allow them to access our host culture, develop stronger relationships with their peers and teachers, while also stepping out of their comfort zones with the challenge focused activities that they will engage in. Again, a Huge Thank You to Ms. Ellyson and all of the chaperones for their organisation, time and dedication for our students. Each group will be providing updates throughout the week as the trips progress. Contributes to a deeper understanding of mathematical concepts. To learn more about this transition, you are welcome to join us for an informational session on Monday, 11 March at 3:45pm in the HS library. This past Wednesday we had the opportunity to host the RISA Honour Band here at AOSR. It was such a wonderful event, highlighting the growth and skills of our students within music. It was also a great opportunity for our students to collaborate and problem solve with some peers from different schools. A huge thank you to Mrs. Boyle and our Fine Arts Department for organising and providing this opportunity for our students. We have over 50 students trying out for our Spring Season. Teams have been set and students and coaches are now working on the skills as we prepare for another successful season. This coming Friday our Varsity Soccer teams will travel to Naples. Our ASA program continues to grow with a tremendous amount of interest in a wide range of activities. I was in the gym yesterday afternoon and there were over 30 young ladies from the MS all the way to year 12 going through very challenging volleyball drills. It is so exciting to see so many of our students engaged! Parent/Student/Teacher Conferences are a perfect opportunity to work as a team towards the educational growth of our students. The more that we are able to share information, provide feedback and support the better able we are to help our students reach their potential. It is essential that your student is a part of this conversation as they are the most important factor! On Tuesday, March 19th all parents will be sent an email with instructions to make an appointment. If you do not receive this email, please check your spam folder before contacting the school. It is the parents responsibility to make these appointments online before the start of school on Friday, March 22nd. Please get in early to find times which suit you best. We ask that parents and students prioritise the teachers they would like to meet with, as schedules will fill very quickly and it will not be possible for parents and students to meet with all of their teachers. 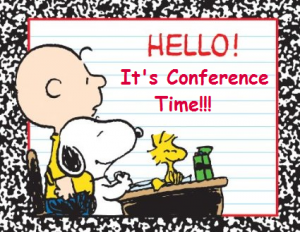 If a teacher's time slot is completely full please come by the Secondary Principal's desk during the conference and we will help organise an alternative time to meet. A reminder that all students should arrive and leave with their parent/s on this day. Thank you again for your continued support of your child and their academic progress here at AOSR. I look forward to seeing you at the conferences. Today our MS students returned from their week long excursions and finished up their reflections on the day trips they had here around Rome. I have been fortunate to be a part of all of the communication from each group and it has been amazing, even from afar, to be a part of these different experiences. 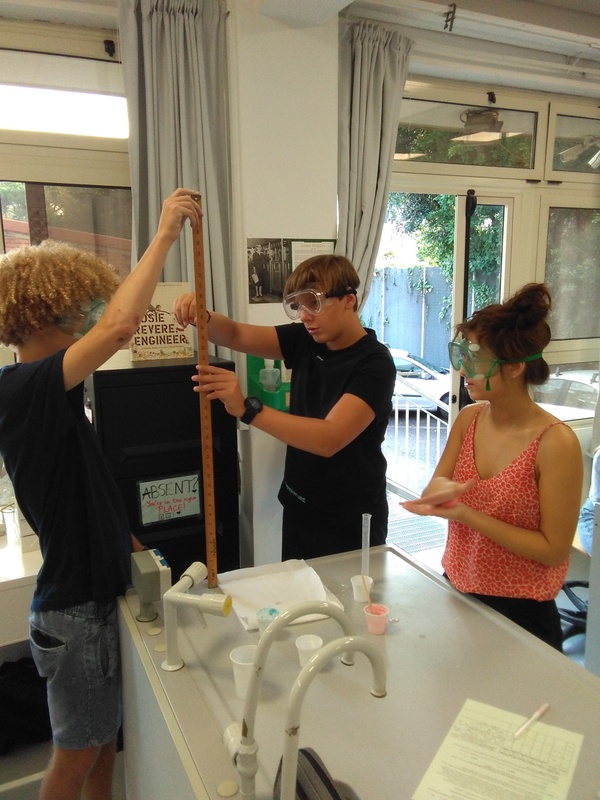 Our students learn a great deal within their classrooms, but the extensions and connections that are available during these trips are priceless. These events do not just happen, it takes a great deal of planning and commitment. I would like to give a Huge Thank You to Ms. Ellyson and all of our chaperones for all of their work during this week. I look forward to our MS students returning and hearing first hand all about all of their experiences. We have finished the course selection process and are about to begin the building of the HS timetable. This will be a back and forth process as we try to accommodate all of the courses and challenges that our students want to engage with in the coming year. Before the end of the school year all students will have their schedule for the coming year. Please go onto your student's PowerSchool and look at the report and the comments that have been provided by each teacher. You have the ability to click on the class grade in order to see each individual assignment that has been used to calculate the grade. If you have a question about a grade you can also click on the teacher's name in order to send them an email. The full report for Trimester 2 will be available on PowerSchool on Thursday, March 21st. Ms. Jeffrey is attending a counseling conference where she is able to connect with recruiters and admission officers from many of the schools that our students are interested in after graduation. Ms. Jeffrey will continue to offer information sessions for parents as well as students upon her return. This information is so valuable and we are very fortunate to have such a qualified and experienced college counselor on staff. Please continue to check our website and your email for continued information from our counseling office. Our Spring Concert is rapidly approaching! Our students have been preparing and are looking forward to performing in front of our community and their peers. The concert will take place on April 17th at 7pm. As the time get's nearer more details will follow. Our HS Soccer teams are traveling today to Naples to play Vicenza. 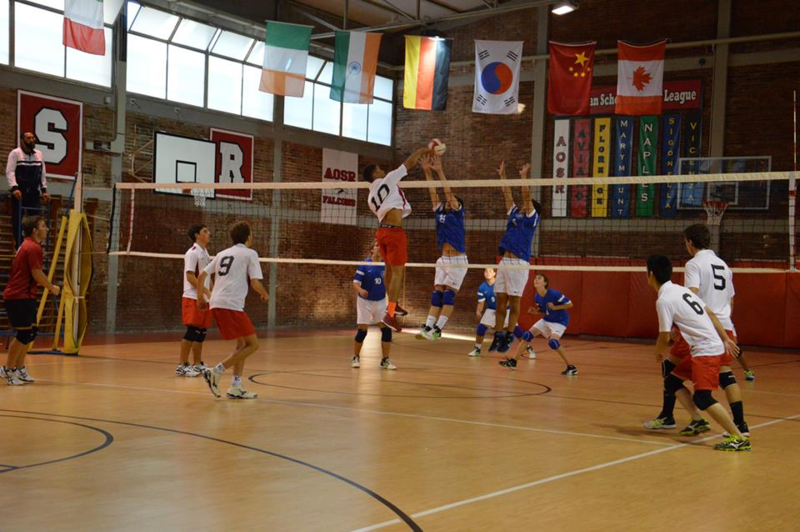 Tomorrow we will host a friendly Volleyball tournament for both the boys and girls programs. It is great to see so many students actively engaged. Go Falcons! We have just finished our Parent/Teacher/Student conferences as well as our MS Term 2. Both of these events provide us a great opportunity to reflect on where we are as learners and what we can continue to work on as we push through the end of the year. Please take the time to speak with your student(s) about their courses, what they are working on, how they are planning to go forward and what obstacles they are excited to take on. By focusing on growth we are able to help our students achieve more than they first thought they were capable of! I want to thank all those parents/students who are able to attend. These days are a great opportunity for all of us to work together to determine the best way to support your student as we move through the school year. The more that we are able to keep our lines of communication open, the better we are at encouraging, supporting and heading off any missteps along the way. The next component in this line of communication and support is the continued use of PowerSchool and Google Classroom. These tools provide us with the ability to check and report on our students growth. Remember these are an indication of where your student is right now, not who they are forever. We continue to foster growth, and these reports, with the emphasis on work habits and developmental comments, are a reminder of that growth mindset we are looking to develop for all of our students. Thank you again for your continued interest and support of your students growth and learning here at AOSR. We have just completed our Second Trimester in the Middle School. At this time of the year it is important that we take a look at the progress that our students have made, highlight their areas of strength and look at ways to help with their areas of growth. This coming week our IB&AP Students will be taking their Mock Exams. These exams will be used as the final diagnostic for our students before they begin the review sessions leading up to their exams. Please remind your student(s) that these exams are used as practise and we need to remember that the most important part of these exams is what we learn from taking them so we can prepare for the real exams coming up. We are getting ready for our Spring Concerts as well as the Shakespeare Festival. Auditions for our Shakespeare Festival will begin on Monday, March 25, after school. As we get closer we will send out more information regarding performances. It is lovely to see so many of our students engaged within the Fine Arts. In the coming week some of our students will be participating in a Global Issues Network(GIN) conference in Luxembourg. The 14th annual European GIN Conference, which will take place in Luxembourg at the Chambre de Commerce from 28th to the 30th of March 2019. The theme of this year's GIN Conference is: Committing to the World's Most Vulnerable People Places and Resources. It is fantastic to have so many students committed to positively effecting the world around them. A huge thank you to Ms. St. Onge for her help organising and chaperoning this event. This weekend we will be hosting Soccer games for our girls and boys varsity teams. Our Varsity Track team continues to train and they will be traveling to Vicenza this coming week. Our MS Basketball team will be competing in a tournament here at AOSR this coming weekend. Our Robotics team is currently at Marymount today as a part of an international Robotics competition, this is a two day competition and our Robotics team has been working all year with Mrs. Hagen to prepare for this event. Good Luck Falcons! As our students start racing towards Spring Break we are trying to incorporate some time for reflection and the development of habits that will help them with the heavy assessment time that is fast approaching. Our 10th graders are meeting with their counselor as well as Ms. Fiochi, which will help them as they prepare for the rigors of the IB Diploma Program and the AP Classes they are looking to challenge in the coming year. Our AP and year two IB students just finished their Mock Exams and are now using class time to reflect on their results, looking at the areas that need more focus and where they are working from a position of strength. Earlier in the term I used an assembly period to speak with our students about their study and sleep patterns. I would like to share these clips with you now. Please take a look at these with your students and help them find the best way to find focused time for their reflection and learning. Thank you. The first day of the GIN Conference started with a morning walk through the old town to the venue Chamber of Commerce in Luxembourg. Students found the various speakers and workshops "eye-opening, empowering, and extremely inspiring," as they learned from their peers or young entrepreneurs already making a difference in combating global issues. In the evening at the International School of Luxembourg they attended a youth networking event where students networked and formed new friendships with other schools. Our students showed a video to introduce our school to the audience. This is a great opportunity for our students to look at ways to take on large issues, collaborate with like minded individuals and find even more outlets for their passions. This week our IB&AP Students took their AP & IB Mock Exams. These exams will be used as the final diagnostic for our students before they begin the review sessions leading up to their exams. It is important to remember that these exams are used as practise and the most important part of these exams is what we learn from taking them so we can prepare for the real exams coming up. Our recycling group here continues to do tremendous work. Led by Dr. Melis these students continue to make positive changes here on campus and around Rome. each Friday these students collect all of the recycled materials from here on campus and take them to a facility outside of the city to process the materials. It is very inspiring to watch these young men and women work for the betterment of their school and community. A huge thank you to Dr. Melis for her continued support of these students. Ms. Jeffrey is continuing to meet with all of our year 11 students in relation to their college application research for the coming year. She is also of course finalising applications and helping seniors make sense of the many acceptances that they are receiving. This past Tuesday Ms. Jeffrey had a parent coffee meeting, speaking about our student extra curricular activities and the role they play in college admissions. This information is so valuable and we are very fortunate to have such a qualified and experienced college counselor on staff. Please continue to check our website and your email for continued information from our counseling office. We are getting ready for our Spring Concerts as well as the Shakespeare Festival. Auditions for our Shakespeare Festival have already begun. Our Spring Concert will be on the 17th of April at 7pm and the Shakespeare Festival will be held on the 14th and 15th of May. It is lovely to see so many of our students engaged within the Fine Arts. On April 4th at 6pm our World Languages Honor Society will hold it's induction ceremony for it's newest members. On April 11th at 6pm our National Honor Society will hold it's induction ceremony for it's newest members. It is lovely to see so many of our hard working students recognised for their achievements both inside and outside of the classroom. This weekend our Soccer Teams are traveling to ROTA Spain where they will be playing two games as well as engaging in some cultural sightseeing. Our Varsity Track team is traveling to Vicenza this weekend. Our MS Basketball team will be competing in a tournament here at AOSR this weekend and our MS Soccer team will be competing at St. Georges as well. Sometimes when I sit down to reflect on what is going on and what is coming up I am simply amazed at how busy we are! This past week we hosted our World Languages Honor Society Induction, competed in varsity soccer matches, had our grade 11 Declamations, ran a grade 6 Science Field trip, hosted an author visit, had a High School Talent Show, held our Booster Bar and actually maintained classes and continued with our rigorous learning program! The next week will be about the same pace! This past Wednesday marked the induction of our World Language Honor Society Students. This coming Thursday we will induct our National Honor Society Students at 6pm. These ceremonies mark great personal achievement for our students, but they also provide so much more for our students. Members of these groups are bringing in representatives from Doctors Without Borders to speak to our students, they have worked with our Recycling Group, tutored in our Homework club and of course act as role models for our student body. This coming week our PTO will be sponsoring numerous events to highlight the communities appreciation for all of the work our teachers put into their students. It is these types of events that separate AOSR from other school communities. I feel very fortunate to be a part of a school that has such a caring and supportive parent community. Ms. Jeffrey is continuing to meet with all of our year 11 students in relation to their college application research for the coming year. She is also of course finalising applications and helping seniors make sense of the many acceptances that they are receiving. This Friday Ms. Jeffrey traveled to Barcelona to meet with admissions officers at the universities there. These are schools that past graduates have attended and we have a number of current students who have applied and are interested in their programs. This type of connection is so valuable for our school and our students as they go through their college admission process. Please continue to check our website and your email for continued information from our counseling office. Today at 5:30 we are hosting our High School Talent Show. This is an opportunity for our students to present the passions that they have outside of the classroom setting. We are getting ready for our Spring Concerts as well as the Shakespeare Festival. Auditions for our Shakespeare Festival have already begun. Our Spring Concert will be on the 17th of April at 7pm and the Shakespeare Festival will be held on the 14th and 15th of May. It is lovely to see so many of our students engaged within the Fine Arts. 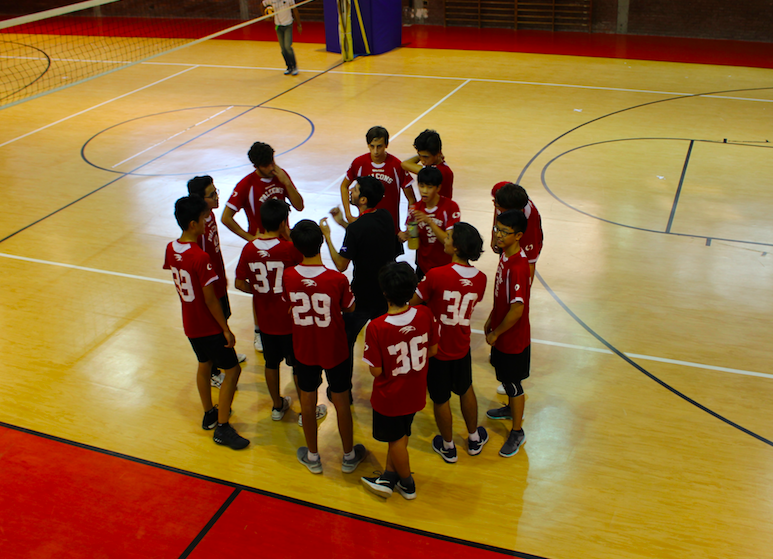 This weekend our Soccer Teams are hosting Marymount where they will be playing league games. Our Varsity Spring Season continues to be a successful one with many student athletes participating and challenging themselves outside of the classroom. Eight straight weeks of learning and events, what an exciting and eventful time! Now we an opportunity to regroup and refresh before we come back for our final term and the culmination of our learning for 2018-19. I know that our AP&IB students will be taking this time to regroup after their many IA’s. 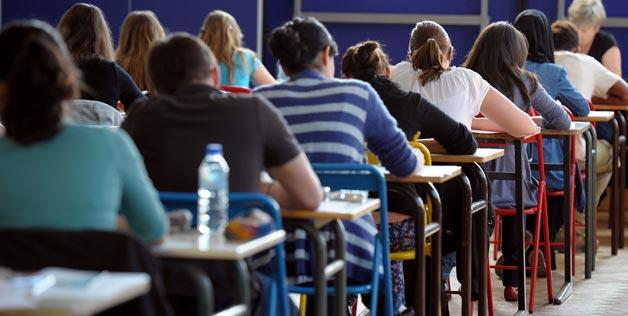 They have also planned out with their teachers and during their holiday a study schedule and plan leading up to the exam period in the beginning of May. This final week before the holiday is a great time for our students to plan out their coming weeks and look towards their upcoming challenges. This past Thursday we inducted our National Honor Society Students at 6pm. These ceremonies mark great personal achievement for our students, but they also provide so much more for our students. Members of these groups are bringing in representatives from Doctors Without Borders to speak to our students, they have worked with our Recycling Group, tutored in our Homework club and of course act as role models for our student body. I am so proud of our students and I look forward to their continuous contributions to our school. Wow! What a fantastic week. I know that I should not have been surprised considering how supportive and wonderful our PTO and parent community are here at AOSR, but WOW! I know that I speak for the whole staff when I say this has been one of the most caring shows of appreciation that I have seen at a school. We are so fortunate to work at a place where the parent and school community are so aligned and supportive of one another. Thank you again. This coming week will be Spirit Week in the Secondary School. Below is the schedule for the week, we are excited to show our school spirit! We are getting ready for our Spring Concerts as well as the Shakespeare Festival. 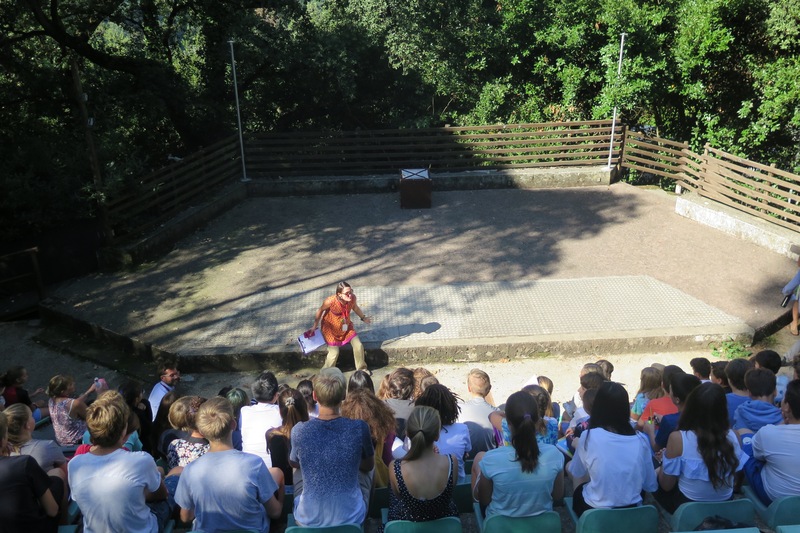 Auditions for our Shakespeare Festival have already begun. Our Spring Concert will be on the 17th of April at 7pm and the Shakespeare Festival will be held on the 14th and 15th of May. On April 30th at 5:30 we are hosting our Middle School Talent Show. This is an opportunity for our students to present the passions that they have outside of the classroom setting. is lovely to see so many of our students engaged within the Fine Arts. This weekend our Soccer Teams are traveling to Florence Our Varsity Spring Season continues to be a successful one with many student athletes participating and challenging themselves outside of the classroom.